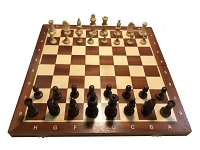 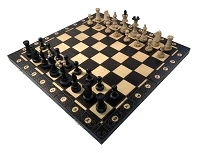 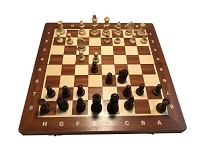 Tournament Chess Set #6- Folding 21" board - 2 1/4" sq - 3 3/4" King "
Chess Set is weighted & felted. 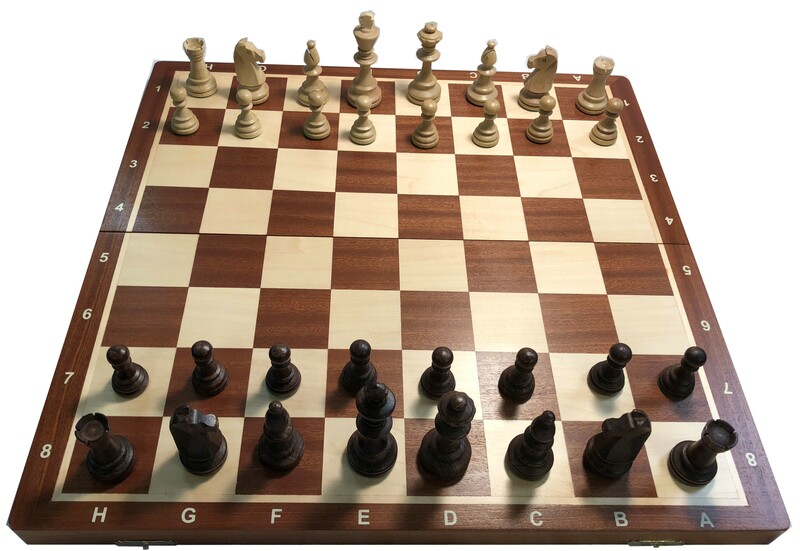 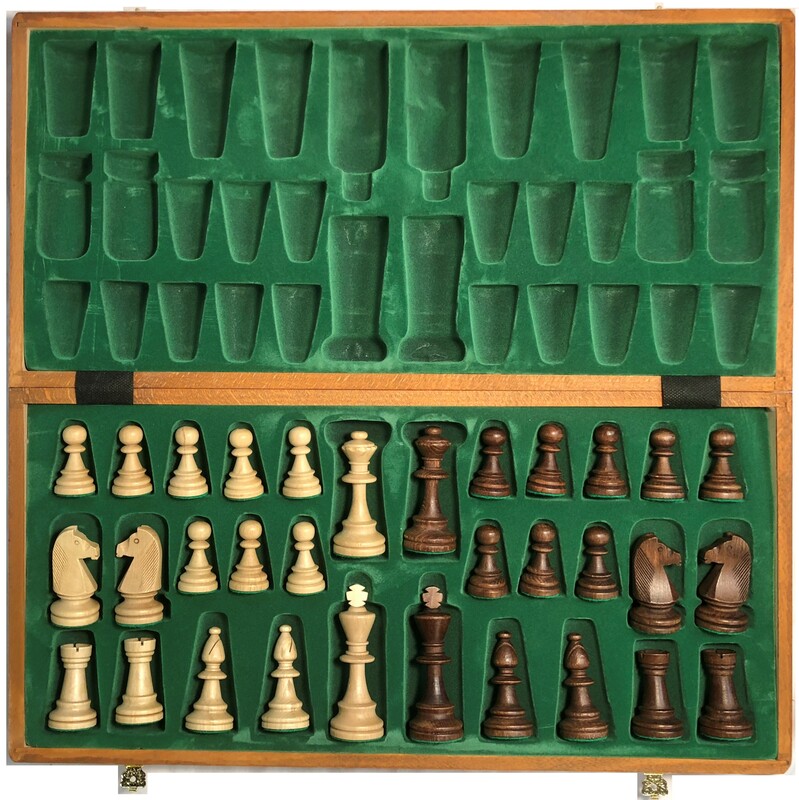 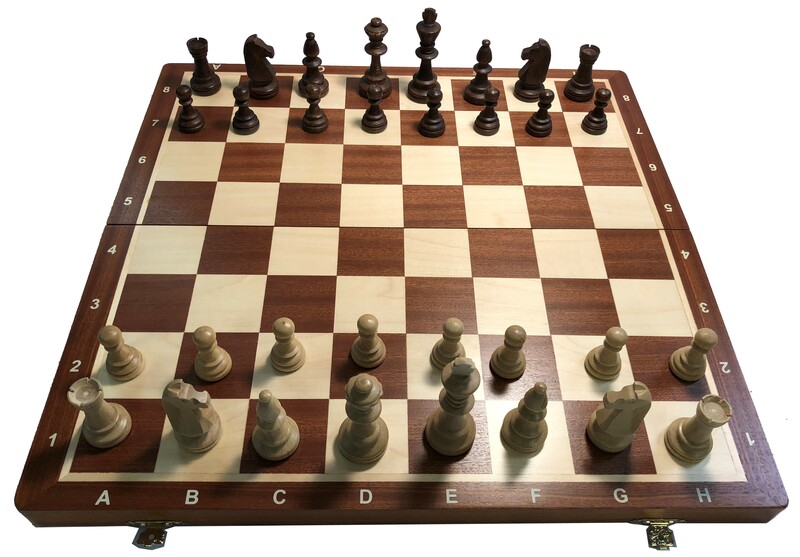 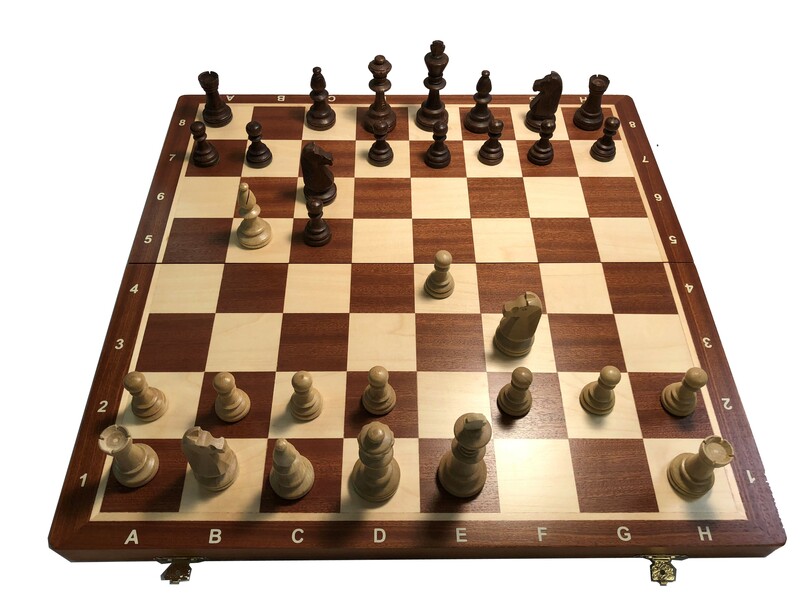 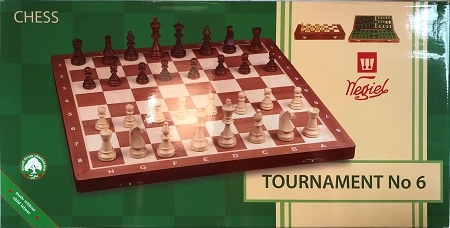 Easy tournament regulation size chess set to travel with or keep on display at home. 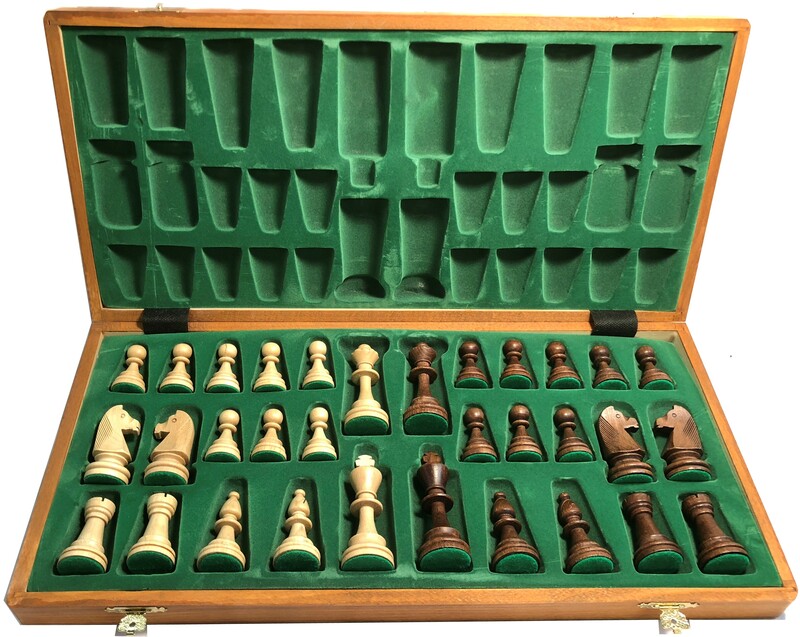 The weighted pieces give this Polish chess set a different feel than most of the others.